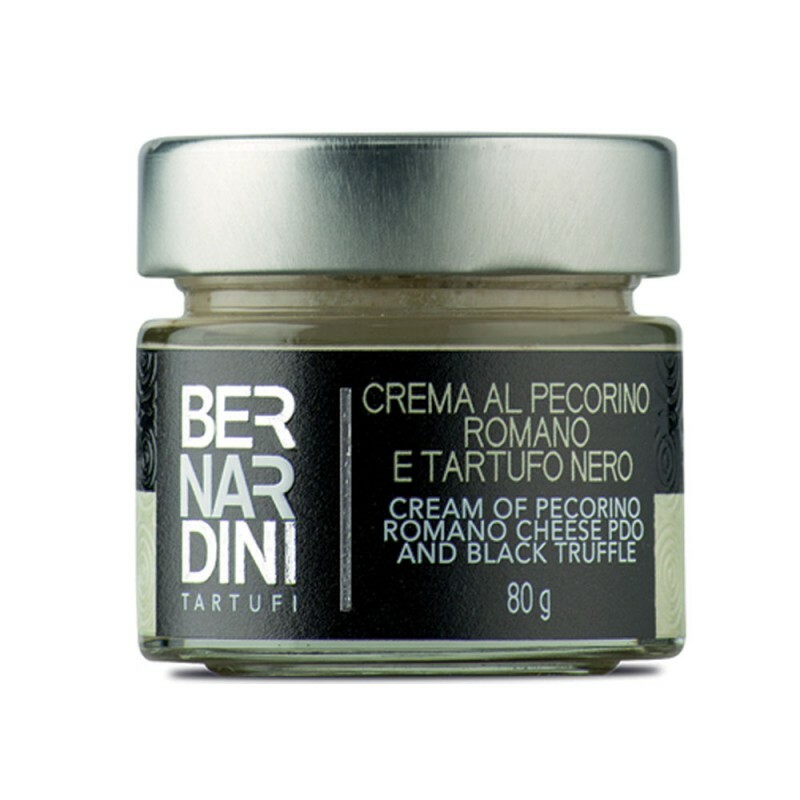 INGREDIENTS: Fresh cream, cheese “ Pecorino Romano PDO “ 25% ( sheep milk, salt, rennet ), milk, butter, cornstarch, black truffle ( Tuber melanosporum Vitt. ) 3%, soy lecithin, natural flavor, flavor. Contains: milk and soy. May contain Tuber brumale Vitt. traces. USEFULL INFORMATIONS: Ready to use. Add either plain butter or chicken stock, fresh cream to your liking. Avoid overheating lest the truffle aroma will fade. Use a condiment for first pasta courses: pasta and rice; meats, vegetable pie and warm crostini. TASTE: Delicate and balanced flavor, enriched by the taste of Pecorino Romano cheese PDO. The typical sblack truffle flavor gives this product an extraordinary harmony.